DD and I made poppy seed muffins this afternoon. Delicious! We had some warm from the oven, shared some with friends, and I’m thinkin’ the rest will go quickly. 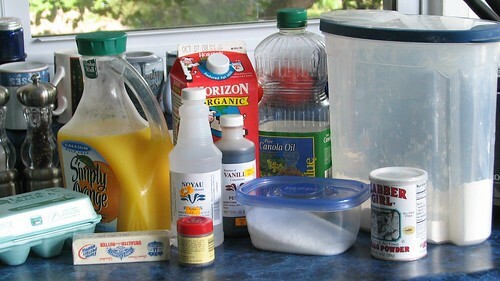 Mix the following ingredients until well blended. Mix these three ingredients in a separate bowl, then stir into wet ingredients. Do not over mix. I read the reviews on the recipe site and made a few changes to the ingredients, noted above. Pour the batter into paper lined muffin tins, filling about 3/4 full. We made 30 muffins with this recipe. The batter was much soupier than I expected. 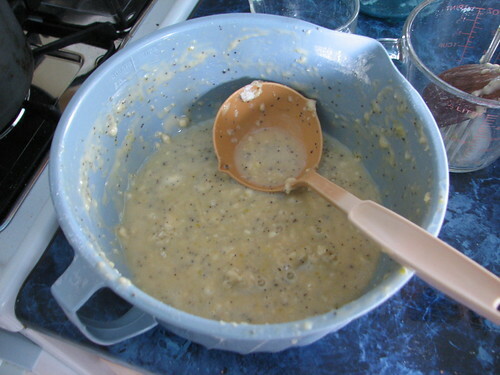 Several reviews of the recipe mentioned that the batter should not be over mixed. It was lumpy when I poured it into the muffin cups. And they baked beautifully. Bake at 350* for 15-20 minutes. In my oven, 18 minutes were just right. 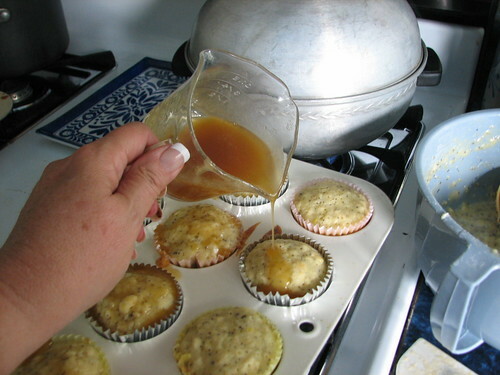 While the muffins are still warm, pour the glaze over them. Messy but worth it. The glaze adds another level of yumminess. 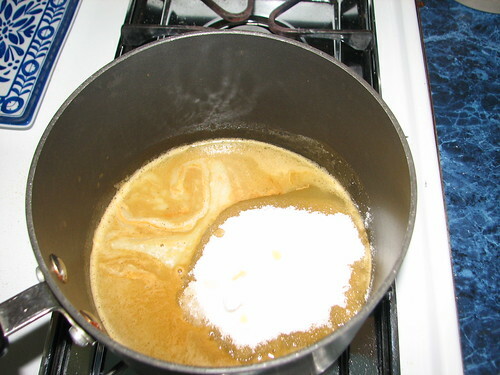 I melted the butter in the pot, then added the other ingredients, cooking over low heat and stirring constantly until the sugar was dissolved. The recipe says to dip the muffins in the glaze. I just poured it on top. Oh, these are sooooo good. 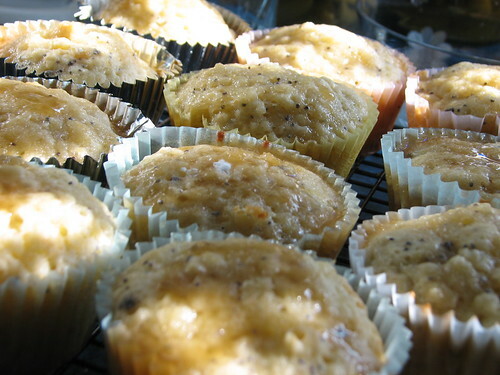 This entry was written by ~~Rhonda, posted on September 13, 2008 at 5:51 pm, filed under Recipes and tagged poppy seed muffins, recipe. Bookmark the permalink. Follow any comments here with the RSS feed for this post. Post a comment or leave a trackback: Trackback URL. Hi Rhonda! 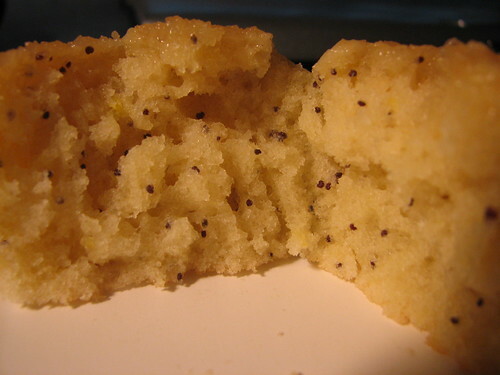 Donna Cashion asked me to see if you had a recipe for Lemon Poppy Seed Bread on your website. She said the girls used to bring it to school and it would just melt in your mouth. I did find one for Poppy Seed Muffins but didn’t see one for the bread. Would you be willing to share that recipe with us if you still have it? As you can tell we here at CFS still remember all the goodies you sent to us. I really enjoy your site. It is such a good way to keep up on the Coulters. Thanks!